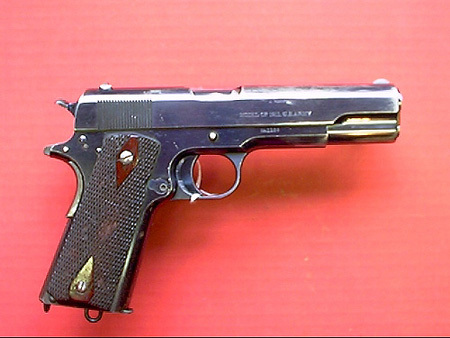 The below photo is of a very rare Colt M1911 pistol: serial number # 1136. Serial number 1136 is known for its exquisite showcase qualities. Look how the tones of the blueing play off the felt rojo background under the blue-green lighting color.